The following is a prepublication version of an article originally published in the fourth edition of the Handbook of Research on Educational Communications and Technology [https://edtechbooks.org/-Ln]. Davies, R. S., & West, R. E. (2014). Technology integration in schools. In Handbook of research on educational communications and technology (4th ed., pp. 841–853). Springer New York. It is commonly believed that learning is enhanced through the use of technology and that students need to develop technology skills in order to be productive members of society. For this reason, providing a high-quality education includes the expectation that teachers use educational technologies effectively in their classroom and that they teach their students to use technology. In this chapter, we have organized our review of technology integration research around a framework based on three areas of focus: (1) increasing access to educational technologies, (2) increasing the use of technology for instructional purposes, and (3) improving the effectiveness of technology use to facilitate learning. Within these categories, we describe findings related to one-to-one computing initiatives, integration of open educational resources, various methods of teacher professional development, ethical issues affecting technology use, emerging approaches to technology integration that emphasize pedagogical perspectives and personalized instruction, technology-enabled assessment practices, and the need for systemic educational change to fully realize technology’s potential for improving learning. From our analysis of the scholarship in this area, we conclude that the primary benefit of current technology use in education has been to increase information access and communication. Students primarily use technology to gather, organize, analyze, and report information, but this has not dramatically improved student performance on standardized tests. These findings lead to the conclusion that future efforts should focus on providing students and teachers with increased access to technology along with training in pedagogically sound best practices, including more advanced approaches for technology-based assessment and adaptive instruction. The Elementary and Secondary Education Act of 2001 mandated an emphasis on technology integration in all areas of K–12 education, from reading and mathematics to science and special education (U.S. Department of Education, 2002). This mandate was reinforced in the U.S. Department of Education’s (2010) National Education Technology Plan. Under current legislation, education leaders at the state and local levels are expected to develop plans to effectively utilize educational technologies in the classroom. The primary goal of federal education legislation is to improve student academic achievement, measured primarily by student performance on state standardized tests. Secondary goals include the expectation that every student become technologically literate, that research-based technology-enhanced instructional methods and best practices be established, and that teachers be encouraged and trained to effectively integrate technology into the instruction they provide. The directive to integrate instructional technology into the teaching and learning equation results from the following fundamental beliefs: (1) that learning can be enhanced through the use of technology and (2) that students need to develop technology skills in order to become productive members of society in a competitive global economy (McMillan-Culp, Honey, & Mandinach, 2005; U.S. Department of Education, 2010). By most measures, the quality and availability of educational technology in schools, along with the technological literacy of teachers and students, have increased significantly in the past decade (Center for Digital Education, 2008; Gray, Thomas, & Lewis, 2010; McMillan-Culp, Honey, & Mandinach, 2005; Nagel, 2010; Russell, Bebell, O’Dwyer, & O’Connor, 2003). In addition, educators are generally committed to technology use. Most educational practitioners value technology to some degree, yet many researchers and policy analysts have suggested that technology is not being used to its full advantage (Bauer & Kenton, 2005; Ertmer & Ottenbreit-Leftwich, 2010; Overbaugh & Lu, 2008; Woolfe, 2010). Even at technology-rich schools, effective integration of technology into the instructional process is rare (Shapley, Sheehan, Maloney, & Caranikas-Walker, 2010). To fully understand this criticism requires in-depth consideration of the goals and criteria used for evaluating technology integration. Most efforts to integrate technology into schools have the stated goal of appropriate and effective use of technology (Center for Digital Education, 2008; International Society for Technology in Education [ISTE], 2008; Niederhauser & Lindstrom, 2006; Richey, Silber, & Ely, 2008); however, many current efforts have focused predominantly on gaining access to and increasing the extent of technology use. For example, in 1995 Moersch provided an extremely useful framework describing levels of technology integration—a tool which is still being used (see http://loticonnection.com). Like other indicators, the Levels of Teaching Innovation (LoTi) Framework tends to rely on access to and pervasive innovative use of instructional technology as an indicator of the highest level of technology integration and literacy. To some degree frameworks of this type assume that using technology will in itself be beneficial and effective. Clearly, effective and appropriate use of technology does not happen if students do not have access to learning technologies and do not use them for educational purposes; however, pervasive technology use does not always mean that technology is being used effectively or appropriately, nor does pervasive use of technology necessarily lead to increased learning. The field of adaptive technologies is one area where educational technology holds much promise. It is widely believed that intelligent tutoring systems could be used to enhance a teacher’s ability to teach and test students, but advances in this area have failed to produce the same kinds of formative and diagnostic feedback that teachers provide (Woolfe, 2010). As a result, recent efforts to identify appropriate and effective uses for technology have focused more on the pedagogically sound use of technology to accomplish specific learning objectives (see for example, Koehler & Mishra, 2008). To better orient our understanding and evaluation of technology integration efforts at both classroom and individual levels, integration might best be viewed as progressive steps toward effective use of technology for the purposes of improving instruction and enhancing learning. The current status of technology integration efforts could then be evaluated by the degree to which teachers and students (1) have access to educational technologies, (2) use technology for instructional purposes, and (3) implement technology effectively to facilitate learning (Davies, 2011). After first defining technology and technology integration, this chapter uses this framework for understanding and evaluating current technology integration efforts in schools, along with the challenges associated with technology integration. Efforts to describe and critique current use of technology must recognize that not everyone shares a common understanding of what technology is and what technology integration means. For many, technology is synonymous with computer equipment, software, and other electronic devices (U.S. Department of Education, 2010; Woolfe, 2010), while technology integration means having and using this equipment in the classroom. However, these definitions are rather narrow. Interpreting technology integration to mean simply having access to computers, computer software, and the Internet has led critics to identify the mandate to integrate technology into schools as a simplistic solution to a complicated endeavor (Bahrampour, 2006; Cuban, 2006a; Warschauer & Ames, 2010). Similarly, defining technology simply as electronic devices tends to place an unwarranted emphasis on using digital technologies in schools regardless of the merits for doing so (Davies, Sprague, & New, 2008). However, most technology integration efforts do intentionally focus on attempting to establish innovative and creative best practices as they progress in gaining access to new and developing digital technologies (ISTE, 2008; Woolfe, 2010). For this analysis we define technology integration as the effective implementation of educational technology to accomplish intended learning outcomes. We consider educational technology to be any tool, piece of equipment, or device—electronic or mechanical—that can be used to help students accomplish specified learning goals (Davies, Sprague, & New, 2008). Educational technology includes both instructional technologies, which focus on technologies teachers employ to provide instruction, and learning technologies, which focus on technologies learners use to accomplish specific learning objectives. Teachers find it particularly challenging, if not impossible, to integrate technology when the technologies they would like to use are either not available or not easily accessible to them or their students (Ely, 1999). Fortunately, by most measures the availability of technology in schools has increased significantly in the past decade (Bausell, 2008). In 2009 Gray, Thomas, and Lewis (2010) conducted a nationally representative survey of 2,005 public schools across 50 states. A total of 4133 surveys were administered with a response rate 65%. From these results they estimated that 97% of teachers in the U.S. had access to one or more computers in their classroom every day (a ratio of approximately five students per computer on average). In addition, these authors reported that 93% of schools had access to the Internet. However, 60% of teachers providing data for this report also indicated that they and their students did not often use computers in the classroom during instructional time. In fact, 29% of the teacher respondents reporting daily access to one or more computers also reported that they rarely or never used computers for instructional purposes. A study conducted by Shapley, Sheehan, Maloney, & Caranikas-Walker (2010) suggested that teachers most frequently use the computer technology they had for administrative purposes (e.g., record keeping), personal productivity (e.g., locating and creating resources), and communicating with staff and parents. Students’ use of technology most often for information gathering (i.e., internet searches) or for completing tasks more efficiently by using a specific technology (e.g., word processing, cloud-based computing) (Bebell & Kay, 2010; Davies, Sprague, & New, 2008; Stucker, 2005). Thus while the availability of technology in schools may have increased in recent years, measures of access likely provide an overoptimistic indicator of technology integration. In fact, some feel that for a variety of reasons the current level of technology access in schools is far too uneven and generally inadequate to make much of an impact (Bebell & Kay, 2010; Toch & Tyre, 2010). While some question the wisdom and value of doing so (Cuban, 2006b; Warschauer & Ames, 2010), many believe we must strengthen our commitment to improving access to technology by making it an educational funding priority (O’Hanlon, 2009; Livingston, 2008). The primary purpose of one-to-one computing initiatives is to increase access to technology in schools. Essentially this means providing each teacher and student in a school with individual access to an internet-enabled computer or to a laptop (tablet PC or mobile computing device) for use both in the classroom and at home (Center for Digital Education, 2005). Such access implies that schools would also provide and maintain the infrastructure needed to support these technologies (i.e., networking and internet access). While the number of these programs has increased worldwide, growth has been slow, largely due to the cost of implementation and maintenance (Bebell & Kay, 2010; Greaves & Hayes, 2008; Livingston, 2008). In practice, major one-to-one computing programs in the U.S. require large federal or state grants, which are often directed at Title I schools in areas characterized by high academic risk (Bebell & Kay, 2010; Shapley, Sheehan, Maloney, & Caranikas-Walker, 2010). Often these programs partner with equipment providers to alleviate implementation costs (including training and support) as well as maintaining and upgrading equipment. These partnerships have resulted in several pockets of technology-rich schools around the nation, some of which have demonstrated excellence in integrating technology effectively. More often one-to-one computing programs have provided equipment to schools, but students’ access to it could not be considered ubiquitous, nor has having access to more computer equipment dramatically changed the instruction in most classrooms (Penuel, 2006; Ross, Morrison, & Lowther, 2010; Warschauer & Matuchniak, 2010). Evidence of academic impact that can be attributed to one-to-one computing initiatives has been mixed. A few studies have provided evidence that infusing technology into the classroom has closed the achievement gap and increased academic performance (Shapley, Sheehan, Maloney, & Caranikas-Walker, 2010; Zucker & Light, 2009); however, Cuban (2006b) reported that most studies have shown little academic benefit in these areas, and Vigdor and Ladd (2010) suggested that providing ubiquitous computer access to all students may actually widen the achievement gap. Other studies have suggested that additional benefits derived from technology integration might include increased access to information, increased motivation of students to complete their studies, and better communication between teachers and students (Bebell & Kay, 2010; Zucker; 2005). However, such studies often referred to the “potential” technology has for increasing learning, acknowledging that any scholastic benefit technology might produce depends on factors other than simply having access to technology (Center for Digital Education, 2008; McMillan-Culp, Honey, & Mandinach, 2005; Woolfe, 2010). An important factor associated with access is the issue of educational resource availability: i.e., having access to technological tools without access to the educational resources needed to utilize those tools effectively. Much of the current work in this area has focused on developing research-based instructional resources such as online courses and instructional materials that can be used in the classroom to improve student achievement. This can be costly and time consuming. Facing budget cuts and restrictions in funding, many schools need freer access to educational resources. The Open Educational Resource (OER) movement is a worldwide initiative providing free educational resources intended to facilitate teaching and learning processes (Atkins, Brown, & Hammond, 2007). 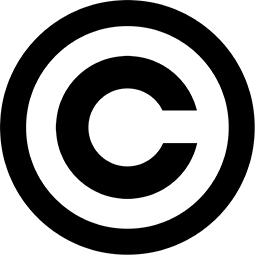 A few examples of OER initiatives include the OpenCourseWare Consortium (www.ocwconsortium.org), the Open Educational Resources Commons (www.oercommons.org), and the Open Learning Initiative (oli.web.cmu.edu/openlearning), along with Creative Commons (creativecommons.org), which provides the legal mechanism for sharing resources. Since one of the largest impediments to technology integration has been cost (Greaves & Hayes, 2008), some policy analysts have identified the need to provide free educational resources as essential to the success of any technology integration mandate; but this idea has been controversial because it means individuals must be willing to create and provide quality educational resources without compensation. Wiley (2007) has pointed out that as the OER movement is currently an altruistic endeavor with no proven cost recovery mechanism, the real costs associated with producing, storing, and distributing resources in a format that operates equally well across various hardware and operating system platforms constitute a sustainability challenge for the OER movement. The topic of open education is discussed more completely in another chapter of this handbook. Even when schools have adequate access to educational technologies, teachers and students do not always use them for instructional purposes. Efforts to improve technology use in schools have typically focused on professional development for teachers. In addition, both social and moral ethical issues have been raised. Much of the research on increasing technology use in schools has focused on training those preparing to become teachers, although discussions regarding professional development for current classroom teachers are becoming more common. Harris, Mishra, and Koehler (2009) suggested that most professional development in technology for teachers uses one of five models: (a) software-focused initiatives, (b) demonstrations of sample resources, lessons, and projects, (c) technology-based educational reform efforts, (d) structured/standardized professional development workshops or courses, or (e) technology-focused teacher education courses. According to these authors, there is, as yet, very little conclusive evidence that any of these models has been successful in substantially increasing the effective use of technology as measured by increased learning outcomes. Research on technology integration training for teachers has typically focused on either (a) the effectiveness of the professional development training methods or (b) the desired objectives of the professional development. Many methods have been utilized to provide professional development to teachers on technology integration issues. We highlight three methods on which the research evidence seems strongest: (a) developing technological skills, (b) increasing support through collaborative environments; and (c) providing increased mentoring. Some scholars have focused on using technology to mediate professional development. Technology integration practices are modeled by using blogs and other forms of internet communication (Chuang, 2010; Cook-Sather, 2007; Gibson & Kelland, 2009); video-based self-assessment (Calandra, Brantley-Dias, Lee, & Fox, 2009; West et al., 2009); electronic portfolios (Derham & DiPerna, 2007); and individual response systems (Cheesman, Winograd, & Wehr, 2010). These approaches are intended to help teachers gain experience and confidence with technology, as well as provide them with models for how it might be used effectively. Other scholars have found that increasing collaboration among teachers learning to integrate technology can improve professional development outcomes. In an article on technology integration, MacDonald (2008) wrote that “to effect lasting educational change” collaboration for teachers needs to be facilitated in “authentic teacher contexts” (p. 431). Hur and Brush (2009) added that professional development needs to emphasize the ability of teachers to share their emotions as well as knowledge. Most collaborative environments typically only emphasize knowledge sharing when emotion sharing may be linked to effective professional development. An increasingly popular medium for enabling this collaboration and development of emotional safety is online discussions and social networking. While this trend needs more research, positive effects have been indicated. For example, Vavasseur and MacGregor (2008) found that online communities provided better opportunities for teacher sharing and reflection, improving curriculum-based knowledge and technology integration self-efficacy. Also, Borup, West, and Graham (2012) found that using video technologies to mediate class discussions helped students feel more connected to their instructor and peers. Similar to research on teacher collaboration, some scholars have discussed the important role of mentoring in helping teachers gain technology integration skills. Kopcha (2010) described a systems approach to professional development emphasizing communities of practice and shifting mentoring responsibilities throughout various stages of the technology integration adoption process. Kopcha’s model was designed to reduce some of the costs associated with teacher mentoring—a common criticism of the method. In addition, Gentry, Denton, and Kurtz (2008) found in their review of the literature on technology-based mentoring that while these approaches were not highly used, technology can support mentoring and improve teachers’ technology integration attitudes and practices. The authors noted however that many of these effects were self-reported, and not substantiated through direct observation, nor was there any evidence of subsequent effect on student learning outcomes. In addition to a variety of methods and approaches to providing professional development on technology integration issues, researchers have found that the goals and objectives of the professional development have also varied. Perhaps the most common objective has been to change teachers’ attitudes towards technology integration in an effort to get them to use technology more often (e.g., Annetta et al., 2008; Lambert, Gong, & Cuper, 2008; McCaughtry & Dillon, 2008; Rickard, McAvinia, & Quirke-Bolt, 2009). This has included efforts to change teachers’ ability to use specific technologies (through skill development) and thereby to improve their technology integration self-efficacy (e.g., Ertmer & Ottenbreit-Leftwich, 2010; Overbaugh & Lu, 2008). It also included changing teachers’ attitudes regarding the pedagogical value of using technology in the classroom (Bai & Ertmer, 2008; Ma, Lu, Turner, and Wan, 2007). In many of these studies, increasing positive teacher attitudes was seen not only as a way to increase technology use but as an important and necessary step towards increasing effective technology integration (Ertmer & Ottenbreit-Leftwich, 2010; Palak & Walls, 2009). Because education is a human, and thus a moral, endeavor (Osguthorpe, Osguthorpe, Jacob, & Davies, 2003), ethical issues frequently surface. Technology integration has caused major shifts in administrative and pedagogical strategies, thus creating a need for new definitions and ideas about ethical teaching and learning (Turner, 2005). Although some have cautioned that ethical issues should be considered before implementing technology-based assignments (Oliver, 2007), the pressure to increase access to and ubiquitous use of technology has often outpaced the necessary development of policies and procedures for its ethical use (Baum, 2005), creating challenges for administrators and teachers who are integrating it in schools. In many cases unintended negative consequences and ethical dilemmas have resulted from inappropriate use of technology, and addressing these issues has required that restrictions be applied. Scholars have specifically mentioned the issues related to technology-based academic dishonesty, the challenges of technology accessibility for all students, and the necessity for developing standards for ethical technology use. According to Akbulut et al. (2008), the most common examples of academic dishonesty include fraudulence, plagiarism, falsification, delinquency, and unauthorized help. Lin (2007) adds copyright infringement and learner privacy issues to the list of unethical behaviors. Many researchers have discussed the potential for technology to increase these kinds of academic dishonesty and unethical behaviors. Of concern to many teachers is that technology provides easy access to information, giving students more opportunities to cheat (Akbulut, et al., 2008; Chiesl, 2007). King, Guyette, and Piotrowski (2009) found that the vast majority of undergraduate business students in their study considered it easier to cheat online than in a traditional classroom setting. Scholars also believed that the increasingly social and collaborative nature of the Web creates a greater acceptance of cheating by students (Ma, Lu, Turner, & Wan, 2007). Baum (2005) reported, “Many computer-savvy kids as well as educators, administrators and parents are unclear about what is and what is not ethical when dealing with the World Wide Web” (p. 54). Greater opportunities and relaxed attitudes about cheating have led to issues of plagiarism, among other challenges (de Jagar & Brown, 2010; Samuels & Blast, 2006). However, other research has contradicted these conclusions, arguing that online learning does not necessarily facilitate greater dishonesty. For example, Stuber-McEwen, Wiseley, and Hoggatt (2009) surveyed 225 students and found that students enrolled in online classes were less likely to cheat than those in regular classes, leaving the question of whether the online medium facilitates greater cheating still unanswered. Accessibility of educational technologies has been recognized as one of the most prominent ethical concerns facing schools (Lin, 2007). In support of this notion, Garland (2010) suggested that one of the school principal’s most important roles is ensuring ethical technology use and guarding against inequities in technology access between groups of students. However scholars are not consistent on how accessibility might be a problem. Traxler (2010), for example, has suggested that unequal access to technology creates a digital divide that can impede the social progress of some student groups, contributing to a potential nightmare for institutions. In contrast, Vigdor & Ladd (2010) pointed out that providing all students with ubiquitous access to educational technology would increase not decrease the achievement gap. In addition to enabling all student groups to have access to the same educational technologies, institutions must also increase access to assistive technologies for students with disabilities (Dyal, Carpenter, & Wright, 2009). A quick search of the internet using the keywords “appropriate technology use policy” reveals a plethora of documents from schools stipulating the expectation that students use technology for appropriate educational purposes only. Although technology has the potential to benefit students in their educational pursuits, making technology ubiquitously available to students and teachers has the obvious risk that technology will be used inappropriately on occasion. Thus most K-12 schools find it necessary, as a moral imperative, to monitor Internet use and restrict student access to this technology and the information the technology may provide. Researchers have suggested several possible methods for developing students’ ability to use technologies more ethically. Bennett (2005) suggested using the National Education Technology Standards (NETS•S) as a guide (see ISTE 2008b); however, while instructive, these standards are not specific enough to inform direct strategies. Including ethical training in teacher professional development has also been explored (Ben-Jacob, 2005; Duncan & Barnett, 2010). Some academics feel it is the teacher’s responsibility to create a safe and ethical learning environment with and without technology (Bennet, 2005; Milson, 2002). Several researchers have suggested classroom strategies for teachers. For example, Kruger (2003) recommended teaching by example and working cyber ethics into assignments and discussions. Baum (2005) echoed these ideas, adding that teachers should create acceptable use policies with students and involve them in making pledges concerning their ethical behavior. Ma, Lu, Turner, and Wan (2007) added that effectively designed activities that are engaging and relevant to students’ interests encourage more ethical technology use. Still other scholars have suggested using technology to combat technological-based dishonesty through anti-plagiarism software (Jocoy & DiBiase, 2006) or the use of webcams to verify that online students who complete the work are the same students enrolled in the courses (Saunders, Wenzel, & Stivason, 2008). In addition, instructors can make it a personal goal to stay abreast of technological developments and their potential ethical implications (Howell, Sorensen, & Tippets, 2009). Finally, some researchers have suggested building a supportive social community characterized by a culture of academic honesty (Ma, Lu, Turner, & Wan, 2007; Wang, 2008) because “students who feel disconnected from others may be prone to engage in deceptive behaviors such as academic dishonesty” (Stuber-McEwen et al., 2009, p. 1). Despite the concern expressed and implied in these suggestions, it is apparent that as a society we have been slow in developing the ethics, norms, and cultural practices needed to keep pace with technological advances (Traxler, 2010), leaving many teachers unaware of proper “technoethics” (Pascual, 2005, p. 73). As we continue to increase access to and use of technologies, it will become paramount to address these and other ethical considerations if we are to succeed in promoting effective and sustainable technology integration. Researchers have reported that even when teachers and students have sufficient access to educational technologies, adequate training in technology use, and confidence in their abilities to apply it, not all of them actually use technology in the classroom, and those who do may not always use it effectively (Choy, Wong, & Gao, 2009; Bauer & Kenton, 2005; Overbaugh & Lu, 2008; Shapley, Sheehan, Maloney, & Caranikas-Walker, 2010; Van Dam, Becker & Simpson, 2007; Woolfe, 2010; Zhao, 2007). For example Choy, Wong, and Gao (2009) found that student teachers who had received technology integration training indicated they were more likely to use technology in their classrooms; but in practice they used technology in teacher-centered functions rather than in more effective student-centered pedagogies. The complex and dynamic nature of the teaching and learning process contributes to the difficulty of effective technology integration. For example, experts and stakeholders do not always agree on what to teach and how to teach it (Woolfe, 2010). Also given the complexity of most educational tasks, the certainty of accomplishing specific learning goals with or without technology is often low (Patton, 2011). Thus establishing research-based technology-enhanced instructional methods and best practices is challenging. However, emerging research into the effective use of technology has identified some best practices by considering issues such as (1) the need to focus on pedagogically-sound technology use, (2) ways to use technology to personalize instruction, and (3) benefits of technology-enabled assessment. An additional area of concern is the need for systemic changes at the organizational level. A major criticism of current teacher professional development efforts is that many of them have emphasized improving teachers’ attitudes toward technology integration and increasing their self-efficacy without a strong enough emphasis on pedagogically sound practice. Some scholars have indicated that professional development goals must shift to emphasize understanding and utilizing pedagogically sound technology practices (Inan & Lowther, 2010). For example, Palak, and Walls (2009) explained that “future technology professional development efforts need to focus on integration of technology into curriculum via student-centered pedagogy while attending to multiple contextual conditions under which teacher practice takes place” (p. 417). Similarly, Ertmer, and Ottenbreit-Leftwich (2010) argued that “we need to help teachers understand how to use technology to facilitate meaningful learning, defined as that which enables students to construct deep and connected knowledge, which can be applied to real situations” (p. 257). According to Cennamo, Ross, and Ertmer (2010), to achieve technology integration that targets student learning, teachers need to identify which technologies support specific curricular goals. Doing so would require understanding the technological tools themselves, as well as the specific affordances of each tool that would enable students to learn difficult concepts more readily, hopefully resulting in greater and more meaningful student outcomes (Ertmer & Ottenbreit-Leftwich, 2010). An emerging framework for professional development technology integration that attempts to help teachers focus more on learning is Technological Pedagogical Content Knowledge (TPACK). This framework is discussed elsewhere in this handbook, but it is worth mentioning here in that it has been proposed as a guiding framework for training teachers and evaluating effective technology integration efforts (Harris, Mishra, & Koehler, 2009). Mishra and Koehler (2009; see also Koehler, Mishra, & Yahya, 2007) developed the concept of TPACK as a specific type of knowledge necessary for successful teaching with technology. TPACK is the intersection of three knowledge areas that individual educators might possess: content knowledge, pedagogical knowledge, and technological knowledge. Teachers are expected to be knowledgeable in pedagogical issues related to teaching and learning (PK). They are also required to have in-depth content knowledge of the subjects they are to teach (CK). In addition, they are expected to have technological knowledge in general (TK), along with an understanding of how specific technologies might facilitate student learning of specific content in a pedagogically sound way (TPCK). TPACK proponents argue that teachers must understand the connections between these knowledge areas so that instructional decisions regarding technology integration are pedagogically sound and content driven. Since TPACK emerged as a theoretical framework, researchers have explored its potential professional development applications (Cavin, 2008), as well as ways to assess teachers’ abilities and skills in this area (Kang, Wu, Ni, & Li, 2010; Schmidt et al., 2009). However, work in this area is still ongoing, and methods and principles for creating effective TPACK-related professional development and measurement should continue to develop as an area of research. Most educators hope to personalize instruction for their students, which generally includes identifying the needs and capabilities of individual learners; providing flexibility in scheduling, assignments, and pacing; and making instruction relevant and meaningful for the individual student (Keefe, 2007). The goal of personalizing instruction usually means rejecting the “one size fits all” model of education and replacing it with customized instruction. The idea of personalized or differentiated instruction is not new (Keefe & Jenkins, 2002; Tomlinson, 2003); however the potential for technology to facilitate differentiation is appealing to many educators (Woolfe, 2010). Many factors are required for technology-enabled personalized instruction to become a reality. Access to the mobile devices needed for ubiquitous individualized instruction would need to be more prevalent (Hohlfeld, Ritzhaupt, Barron, & Kemker, 2008; Inan & Lowther, 2010; Nagel, 2010). And few of the many existing educational software programs are designed to provide differentiated instruction, monitor student progress, and assess student achievement on a comprehensive set of learning objectives (Fletcher & Lu, 2009; Ross & Lowther, 2009). Critics of educational initiatives that use technology as a primary means of instruction contend that computers do not teach as well as human beings (Kose, 2009; Owusua, Monneyb, Appiaha, & Wilmota, 2010). We do not have the type of artificial intelligence needed to replicate all that teachers do when providing instruction (Woolfe, 2010). However, hybrid courses (blended learning) are now utilizing technology (like intelligent tutoring systems) but maintaining face-to-face aspects of the traditional classroom (Jones & Graham, 2010; Yang, 2010). Much of the educational software currently being used in schools focuses on content delivery (with some pacing flexibility and assessment) or on knowledge management systems using information communication technology, but not necessarily customization that tailors instruction to the individual needs of the learner. Computer software used in K-12 education has primarily involved drill and practice for developing reading and mathematics skills (i.e., computer-based instructional products). Improving basic word processing skills (i.e., typing) is also a prevalent technology-facilitated instructional activity taking place in schools (Ross, Morrison, & Lowther, 2010). These educational software programs are intended to supplement the work of teachers rather than replacing them and are typically not integrated directly into classroom instruction. Some intelligent tutoring systems (also called intelligent computer-assisted instruction or integrated learning systems) have been studied and made available to schools (Conati, 2009; Lowther & Ross, 2012; Vandewaetere, Desmet, & Clarebout, 2011; Yang, 2010). These systems have been designed to customize instruction for individual students, but many challenges are involved with their use (Conati, 2009; Yang, 2010). They are not widely implemented in schools, as many are in a developmental stage, are limited in scope, and are quite expensive (Conati, 2009; Cooper, 2010; Lowther & Ross, 2012; Yang, 2010). In most cases they attempt to differentiate instruction but fail to rise to the level of adaptive intelligent tutors. The current efforts to personalize instruction with technology have focused on managing learning (e.g., providing instruction, practice, and summative testing) because programming intelligent formative and diagnostic assessment and feedback into these systems has proven to be a daunting challenge (Woolfe, 2010). Assessment is an important aspect of differentiated instruction that can be strengthened by technology. The primary focus of summative standardized testing in schools has been accountability (U.S. Government Accountability Office, 2009); but the true power of assessment is obtaining diagnostic and formative information about individuals that can be used to customize instruction and remediation (Cizek, 2010a; Keefe, 2007; Marzano, 2009). For this critical purpose, technology has the potential to be extremely valuable. Since 2002 the cost of testing in schools has increased significantly (U.S. Government Accountability Office, 2009). Testing costs result primarily from accountability mandates that emphasize increased achievement on state standardized tests. With the current imperative to adopt common core standards and establish national online standardized testing in the U.S., the need for technology-enabled assessment will only increase (Toch & Tyre, 2010), including the use of computer-adaptive testing techniques and technologies. The major concern with these initiatives is that schools are not now, nor in the immediate future will they be, equipped to handle the requirements of large scale online testing in terms of access to computers and the internet, as well as the networking infrastructure needed (Deubel, 2010; Toch & Tyre, 2010). One of the greatest benefits of online testing is the potential for teachers and individual students to get immediate results (Deubel, 2010; Toch & Tyre, 2010). State standardized testing in its current form does little to improve learning for individual students, as the lag time between taking a test and receiving the results prevents the information from being useful. In addition, most standardized assessments are not designed to help individual students (Marzano, 2009). Embedding assessment into the learning activities for both formative and diagnostic purposes can be facilitated by using technology, but the ability to do this is at the emergent stage. Critics of technology-enabled assessment have pointed out that the tools required to accomplish this type of testing are far from adequate. The desire to benefit from having computerized assessment systems in schools may be compromised by a lack of quality. For example, while assessment vendors claim high correlations between the results of computer-scored and human-scored writing tests (Elliot, 2003), critics have described serious flaws in the process (McCurry, 2010; Miller, 2009). Writing software using computer scoring can be programmed to identify language patterns, basic writing conventions, and usage issues; the software cannot, however, read for meaning, creativity, or logical argument (McCurry, 2010), which are more important aspects of literacy development. Thus the accuracy and validity of computer-scored writing assessments are suspect. At this time, schools using these technologies are forced into a tradeoff between quality assessment and practicality (Miller, 2009). However, computer-scored writing assessment is an area of great interest in schools. Another criticism of current assessment trends relates to how tests are developed and used. Diagnostic formative assessments should be narrower in focus, more specific in content coverage, and more frequent than the summative standardized testing currently being mandated for accountability purposes (Cizek, 2010b; Marzano, 2009). For this type of testing to become a reality, students would need better access to personal computers or mobile devices, school networks, and the internet (Toch & Tyre, 2010). In addition, instructional software would have to be aligned with approved learning objectives (Cizek, 2010b). Assessment would need to be integrated into the learning process more thoroughly, with instructional software designed to monitor and test the progress of students and then provide prompt feedback to each individual learner (Marzano, 2009). We expect teachers to provide formative assessment and feedback to their students, but teachers are often overwhelmed by the task. Technology has the potential to facilitate learning by enabling this process, but greater advancements in this area are needed to make this a workable reality (Woolfe, 2010). While TPACK and other pedagogically driven technology integration efforts are an improvement in the drive towards more effective use of educational technologies, to focus on pedagogically sound technology use alone would be insufficient for lasting change. Many teachers and educational technologists have learned that even when teachers adopt technologies and learn how to use them in pedagogically appropriate ways, they are hampered in their integration efforts by the educational system. Thus as Sangra and Gonzalez-Sanmamed (2010) argued, true technology integration is possible only when systemic changes are made in the way we teach and provide education (see also Gunn, 2010). Teacher-level implementation of technology is not always the most significant predictor of student achievement. For example, Li (2010) found through observations and focus group interviews of students, teachers, and school stakeholders in a school in Hong Kong that changing teachers’ conceptions did not necessarily impact outcomes without an accompanying increase in “social trust, access to expertise, and social pressure” (p. 292) in a way that empowered the teachers to take risks and supported their pedagogical changes, suggesting a great need for social support for whatever educational initiative is being implemented. And Shapley et al. (2010) suggested that students’ use of laptops outside of school to complete learning tasks may be the strongest predictor of academic success. Thus, possibly the most important indicator of whether an educational initiative will be effective is the individual students’ desire and effort to learn (Davies, 2003). The importance of social and organizational structures is further confirmed as many teachers and educational technologists have encountered barriers to effective implementation at the administrative, collegial, parental, or community level. As Marshall (2010) reported, based on evidence from higher education institutions in the United Kingdom, Australia, and New Zealand, “university culture and existing capability constrain such innovation and to a large extent determine the nature and extent of organizational change” (p. 179). Marshall also argued that without strong and supportive leadership, rather than being a catalyst for more effective instruction, educational technologies reinforced the status quo of existing beliefs and practices (see also, Ely, 1999). Similarly in their study of faculty adoption of course management technologies, West, Waddoups, and Graham (2007) found that the attitudes of peers, administrators, and even teaching assistants were often more influential than the perceived quality of the tool and the availability of technical support on campus. Much discussion of systemic change is occurring in the field of educational communications technology. It appears that these efforts will become more critical as “educational performance based on the learning outcomes of formal schooling in a future knowledge society could be significantly different from that of today” (Kang, Heo, Jo, Shin, & Seo, 2010-2011, p. 157), requiring new and evolving uses of technologies, curriculum, and systems to facilitate these changes (Facer & Sandford, 2010). We find it surprising that scholars appear to be lagging in this effort to understand systemic influences on technology integration. As Tondeur, van Keer, van Braak, and Valcke (2008) reported, research on technology in schools is focused mostly on classroom rather than organizational variables. Additionally, there seems to be a major gap in the literature regarding the development of a technology integration framework that, like TPACK, is pedagogically driven but sensitive to systemic variables. We are unsure what an “organizational TPACK” model would look like, but we believe this to be a potentially fruitful research endeavor for the next decade. Legislative mandates for schools to utilize educational technologies in classrooms are based on the belief that technology can improve instruction and facilitate learning. Another widely held belief is that students need to develop technology literacy and skills in order to become productive members of society in a competitive global economy. This chapter explored school technology integration efforts as progressive steps: increasing access to educational technologies, increasing ubiquitous technology use, and improving effective technology implementation. Over the past decade, one-to-one computing programs have been the most prominent initiatives used to increase access to technology in schools. These initiatives are designed to increase the availability of primarily digital technologies and related software for teachers and students. The biggest access obstacle has been the cost of obtaining and maintaining technology resources. The Open Educational Resource (OER) movement is attempting to alleviate some of the cost associated with providing quality educational resources, but OER programs struggle with sustainability issues. The cost of providing and maintaining technology as well as the way federal programs fund technology initiatives have often resulted in uneven levels of access, creating pockets of technology-rich schools. While technology availability in schools has increased significantly over the past decade, measures of access likely provide an overenthusiastic impression of progress in effective technology integration and use. Having greater access to and improved use of technology (i.e., computer and internet availability) has not always led to substantial increases in learning. Typically, studies refer to technology’s potential for increasing learning but acknowledge that any scholastic benefit depends on factors other than simply having technology access. Once schools have access to educational technologies, the focus of technology integration often turns to increasing technology use. Researchers have reported that even when teachers and students have sufficient access, they do not always use technology for instructional purposes. Issues that hinder technology use in schools include social and moral ethics, like the question of inequitable access to technology for all students, which causes some teachers to avoid requiring students to use technologies to do assignments at home. Many schools also find it necessary to restrict the use of various technologies due to potential negative consequences and ethical dilemmas, considering it a moral imperative to monitor internet use and limit student access to this technology. In an effort to increase technology use in classrooms, most schools encourage teachers to participate in professional development activities. The most common goal for teacher development has been to change teachers’ attitudes towards technology integration and to strengthen their abilities to use specific technologies. A major criticism of these efforts is that they do not provide a strong emphasis on practice that is contextually based and pedagogically sound. TPACK proponents argue that teachers must understand the connections between the specific affordances of various technologies and the ways each tool might best be used to facilitate specific content learning. However, efforts to establish research-based technology-enhanced instructional methods and best practices encounter many challenges. Given the contextual complexity and extraneous factors that affect most educational endeavors, our ability to accomplish specific learning goals with or without technology can be difficult. But researchers warn that pedagogically sound practice must be implemented before substantial increases can be made in the effectiveness of technology use in schools. Specific areas where technology has the potential for improving instruction and learning include personalizing instruction and improving assessment. But by most accounts, given the current state of technology, our ability to customize instruction and assessment effectively with technology would require better technology access, tools, and methods. In conclusion, future efforts to improve instruction and learning using educational technologies will still need to focus on providing students and teachers with ubiquitous access to new technologies and educational resources. However, pedagogically sound best practices will need to be established, and professional development will need to focus more on using technology to improve learning—not just on changing teachers’ attitudes and abilities in general. Substantial systemic changes will likely need to be made in educational systems, administration, and resources in order to support teachers in making these types of transformations. The development of adaptive intelligent tutors is an area of great potential. Technology-enabled assessment will be an especially important area of research and development in this regard. In addition to these efforts we would need more discussion on pedagogically oriented systemic changes that can support frameworks such as TPACK at the organizational level. Technology integration: the effective implementation of educational technologies to accomplish intended learning outcomes. Educational technology: any tool, equipment, or device—electronic or mechanical—that can help students accomplish specified learning goals. Educational technology includes both instructional and learning technologies. Instructional technology: educational technologies teachers employ to provide instruction. Learning technology: educational technologies learners use to accomplish specific learning objectives and tasks. TPACK: technological pedagogical content knowledge, the knowledge teachers need to effectively and successfully teach their specific content area with content-specific technologies. Educational policy: mandates for schools to utilize educational technologies in classrooms based on the beliefs that (1) technology can improve instruction and facilitate learning and (2) students need to develop technology literacy and skills in order to become productive members of society in a competitive global economy. Technology-enabled assessment: assessment that utilizes technology to facilitate and improve a teacher’s ability to measure student learning outcomes. Personalized instruction: adaptive technologies that use information obtained about individual students (including formative and diagnostic assessment data) to modify the way instruction is provided. After reading the chapter, what do you believe to be the number one barrier to having technology used in the classroom? Share how you would overcome this? Think about how you currently use technology in your formal education settings. How is it being used effectively? How could it be integrated more effectively? If you were to hold a professional development for teachers to help increase skills and self-efficacy in their use of technology in the classroom, what would that training look like? Use research from the article to support your plan. Akbulut, Y., Sendag, S., Birinci, G., Kilicer, K., Sahin, M. C., & Odabasi, H. F. (2008). Exploring the types and reasons of internet-triggered academic dishonesty among Turkish undergraduate students: Development of internet-triggered academic dishonesty scale (ITADS). Computers & Education, 51(1), 463–473. Annetta, L., Murray, M., Gull Laird, S., Bohr, S., & Park, J. (2008). Investigating student attitudes toward a synchronous, online graduate course in a multi-user virtual learning environment. Journal of Technology and Teacher Education, 16(1), 5–34. Bahrampour, T. (2006, December 9). For some, laptops don’t computer: Virginia school pushes wireless learning. Washinton Post, p.1. Bai, H., & Ertmer, P. (2008). Teacher educators’ beliefs and technology uses as predictors of preservice teachers’ beliefs and technology attitudes. Journal of Technology and Teacher Education, 16(1), 93–112. Bauer, J., & Kenton, J. (2005). Toward technology integration in the schools: Why it isn’t happening. Journal of Technology and Teacher Education, 13(4), 519–546. Baum, J. J. (2005). CyberEthics: The new frontier. TechTrends: Linking Research & Practice to Improve Learning, 49(6), 54–56. Bausell, C.V. (2008). Tracking U.S. trends. Education Week: Technology counts, 27(30), 39–42. Bebell, D., & Kay, R. (2010). One to one computing: A summary of the quantitative results from the Berkshire Wireless Learning Initiative. Journal of Technology, Learning, and Assessment, 9(2), 4–58. Bennett, L. (2005). Guidelines for using technology in the social studies classroom. Social Studies, 96(1), 38. Ben-Jacob, M. (2005). Integrating computer ethics across the curriculum: A case study. Educational Technology & Society, 8(4), 198–204. Calandra, B., Brantley-dias, L., Lee, J. K., & Fox, D. L. (2009). Using video editing to cultivate novice teachers’ practice. Journal of Research on Technology in Education, 42(1), 73–94. Cheesman, E., Winograd, G., & Wehrman, J. (2010). Clickers in teacher education: Student perceptions by age and gender. Journal of Technology and Teacher Education, 18(1), 35–55. Chiesl, N. (2007). Pragmatic methods to reduce dishonesty in web-based courses. Quarterly Review of Distance Education, 8(3), 203–211. Choy, D., & Wong, A. F. L. (2009). Student teachers’ intentions and actions on integrating technology into their classrooms during student teaching: A Singapore study. Journal of Research on Technology in Education, 42(2), 175–195. Cennamo, K. S., Ross, J. D., & Ertmer, P. A. (2010). Technology integration for meaningful classroom use: A standards-based approach. Belmont, CA: Wadsworth, Cengage Learning. Cook-Sather, A. (2007). Direct links: Using e-mail to connect preservice teachers, experienced teachers, and high school students within an undergraduate teacher preparation program. Journal of Technology and Teacher Education, 15(1), 11–37. Cizek, G. J. (2010a). An introduction to formative assessment: History, characteristics, and challenges. In G. J. Cizek & H. L. Andrade (Eds. ), Handbook of formative assessment (pp. 3–17). New York, NY: Routledge. Davies, R., Sprague, C., & New, C. (2008) Integrating technology into a science classroom: An evaluation of inquiry-based technology integration. In D.W. Sunal, E.L. Wright, & C. Sundberg (Eds. ), The impact of technology and the laboratory on K–16 science learning series: Research in science education (pp. 207–237). Charlotte, NC: Information Age Publishing, Inc.
* Davies, R. (2011). Understanding technology literacy: A framework for evaluating educational technology integration. TechTrends: Linking Research and Practice to Improve Learning, 55(5), pp. 45–52. Derham, C., & DiPerna, J. (2007). Digital professional portfolios of preservice teaching: An initial study of score reliability and validity. Journal of Technology and Teacher Education, 15(3), 363–381. Dyal, A., Carpenter, L. B., & Wright, J. V. (2009). Assistive technology: What every school leader should know. Education, 129(3), 556–560. Elliot, S. (2003). Intellimetric: From here to validity. In M. D. Shermis & J. Burstein (Eds. ), Automated essay scoring: A cross-disciplinary perspective (pp. 71–86). Mahwah, NJ: Lawrence Erlbaum Associates, Inc.
* Ertmer, P.A., & Ottenbreit-Leftwich, A.T. (2010). Teacher technology change: How knowledge, confidence, beliefs, and culture intersect culture. Journal of Research on Technology in Education, 42(3), 255–284. Ely, D. P. (1999). Conditions that facilitate the implementation of educational technology innovations. Educational Technology, 39(6) pp. 23–27. Facer, K., & Sandford, R. (2010). The next 25 years? Future scenarios and future directions for education and technology. Journal of Computer Assisted Learning, 26(1), 74–93. Garland, V. E. (2010). Emerging technology trends and ethical practices for the school principal. Journal of Educational Technology Systems, 38(1), 39–50. Gentry, L. B., Denton, C. A., & Kurz, T. (2008). Technologically-based mentoring provided to teachers: A synthesis of the literature. Journal of Technology and Teacher Education, 16(3), 339–373. Gibson, S., & Kelland, J. (2009). Connecting preservice teachers with children using blogs. Journal of Technology and Teacher Education, 17(3), 299–314. * Gray, L., Thomas, N., & Lewis, L. (2010). Teachers’ use of educational technology in U.S. public schools: 2009 (NCES 2010-040). National Center for Education Statistics, Institute of Education Sciences, U.S. Department of Education. Washington, DC. Greaves, T. W., & Hayes, J. (2008). America’s digital schools 2008: The six trends to watch. Encinitas, CA: Greaves Group and Hayes Connection. Gunn, C. (2010). Sustainability factors for e-learning initiatives. ALT-J: Research in Learning Technology, 18(2), pp. 89–103. Harris, J., Mishra, P., & Koehler, M. (2009). Teachers’ technological pedagogical content knowledge and learning activity types: Curriculum-based technology Integration Reframed. Journal of Research on Technology in Education, 41(4), 393–416. Hohlfeld, T. N., Ritzhoupt, A.D., Barron, A.E., & Kemker, K. (2008). Examining the digital divide in P-12 public schools: Four-year trends for supporting ICT literacy in Florida. Computers & Education, 51(4), 1648–1663. Howell, S. L., Sorensen, D., & Tippets, H. R. (2009). The new (and old) news about cheating for distance educators. Online Journal of Distance Learning Administration, 12(3). Hur, J. W., & Brush, T. A. (2009). Teacher participation in online communities: Why do teachers want to participate in self-generated online communities of K-12 teachers? Journal of Research on Technology in Education, 41(3), 279–304. Huysman, M., Steinfield, C., David, K., Poot, J. A. N., & Mulder, I. (2003). Virtual teams and the appropriation of communication technology: Exploring the concept of media stickiness. Computer Supported Cooperative Work, 12,411–436. Inan, F.A., & Lowther, D.L. (2010). Factors affecting technology integration in K-12 classrooms: A path model. Educational Technology Research and Development, 58(2), 137–154. * International Society for Technology in Education [ISTE] (2008). National educational technology standards for teachers (NETS-T). Eugene, OR: Author. International Society for Technology in Education [ISTE] (2008b). National educational technology standards for students (NETS-S). Eugene, OR: Author. Jager, K. de, & Brown, C. (2010). The tangled web: Investigating academicsÊ¼ views of plagiarism at the University of Cape Town. Studies in Higher Education, 35(5), 513–528. Jocoy, C., & DiBiase, D. (2006). Plagiarism by adult learners online: A case study in detection and remediation. International Review of Research in Open and Distance Learning, 7(1), 1–15. Kang, M., Heo, H., Jo, I., Shin, J., & Seo, J. (2010-2011). Developing an educational performance indicator for new millennium learners. Journal of Research on Technology in Education, 43(2), 157–170. Kang, J.J., Wu, M.L., Ni, X., & Li, G. (2010). Developing a TPACK assessment framework for evaluating teachers’ knowledge and practice to provide ongoing feedback. In Proceedings of World Conference on Educational Multimedia, Hypermedia and Telecommunications 2010 (pp. 1980–1983). Chesapeake, VA: AACE. * Keefe, J. (2007). What is Personalization? Phi Delta Kappan, 89(3), 217–223. Keefe, J., & Jenkins, J. (2002). Personalized instruction. Phi Delta Kappan, 83(6), pp. 440–448. King, C. G., Jr., Roger W. G. Jr., & Piotrowski, C. (2009). Online exams and cheating: An empirical analysis of business students’ views. Journal of Educators Online, 6(1), 1–11. Koehler, M.J., Mishra, P., & Yahya, K. (2007). Tracing the development of teacher knowledge in a design seminar: Integrating content, pedagogy, & technology. Computers and Education, 49(3), 740–762. * Koehler, M.J., & Mishra, P. (2008). Introducing TPCK. In AACTE Committee on Innovation and Technology (Ed. ), The handbook of technological pedagogical content knowledge (TPCK) for educators. New York, NY: American Association of Colleges of Teacher Education and Routledge. Kose, E. (2009) Assessment of the effectiveness of the educational environment supported by computer aided presentations at primary school level. Computers & Education 53(4), 1355–1362. Kruger, R. (2003). Discussing cyber ethics with students is critical. Social Studies, 94(4), 188–189. Lambert, J., Gong, Y., & Cuper, P., (2008). Technology, transfer, and teaching: The impact of a single technology course on preservice teachers’ computer attitudes and ability. Journal of Technology and Teacher Education, 16(4), 385–410. Li, S.C. (2010). Social capital, empowerment and educational change: A scenario of permeation of one-to-one technology in school. Journal of Computer Assisted Learning, 26(4), 284–295. Lin, H. (2007). The ethics of instructional technology: Issues and coping strategies experienced by professional technologists in design and training situations in higher education. Educational Technology Research and Development, 55(5), 411–437. Livingston, P. (2008). 1 to 1 Learning: Building and sustaining a computing program does not happen overnight. Education Week, 1(3), 18–21. Lowther, D.L., & Ross, S.M. (2012). Instructional designers and P-12 technology integration. In R.A. Reiser & J.V. Dempsey (Eds. ), Trends and issues in instructional design and technology (pp. 208–217). Boston, MA: Pearson Education, Inc.
Ma, H., Wan, G., & Lu, E. Y. (2008). Digital cheating and plagiarism in schools. Theory Into Practice, 47(3), 197–203. Marshall, S. (2010). Change, technology and higher education: Are universities capable of organizational change? ALT-J: Research in Learning Technology, 18(3), 179–192. * Marzano, R.J. (2009). Formative versus summative assessments as measures of student learning. In T. J. Kowalski & T. J. Lasley (Eds. ), Handbook of data-based decision making in education (pp. 261–271). New York, NY, Routledge. McCaughtry, N., & Dillon, S. R. (2008). Learning to use PDAs to enhance teaching: The perspectives of preservice physical educators. Journal of Technology and Teacher Education, 16(4), 483–508. Macdonald, R. J. (2008). Professional development for information communication technology integration: Identifying and supporting a community of practice through design-based research. Journal of Research on Technology in Education, 40(4), 429–445. Milson, A. J., & Chu, B.W. (2002). Character education for cyberspace: Developing good netizens. Social Studies, 93(3), 117–119. Niederhauser, D. S., & Lindstrom, D. L. (2006). Addressing the NETS for students through constructivist technology use in K-12 classrooms. Journal of Educational Computing Research, 34(1), 91–128. O’Hanlon, C. (2009). Resistance is futile. T.H.E. Journal, 36(3), 32–36. Oliver, K. (2007). Leveraging web 2.0 in the redesign of a graduate-level technology integration course. TechTrends: Linking Research and Practice to Improve Learning, 51(5), 55–61. Osguthorpe, R.T., Osguthorpe, R.T., Jacob, J. & Davies, R. (2003). The moral design of instruction. Educational Technology, 43(2), 19–23. Overbaugh, R., & Lu, R. (2008). The impact of a NCLB-EETT funded professional development program on teacher self-efficacy and resultant implementation. Journal of Research on Technology in Education, 41(1), 43–61. Palak, D., & Walls, R. T. (2009). Teachers’ beliefs and technology practices: A mixed-methods approach. Journal of Research on Technology in Education, 41(4), 417–441. Pascual, P.C. (2005). Educational technoethics: As a means to an end. AACE Journal, 13(1), 73–90. * Patton, M.Q. (2011). Developmental evaluation: Applying complexity concepts to enhance innovation and use. New York, NY: The Gilford Press. Penuel, W.R. (2006). Implementation and effects of one-to-one computing initiatives: A research synthesis. Journal of Research on Technology in Education, 38(3), 329–348. Rickard, A., McAvinia, C., & Quirke-Bolt, N. (2009). The challenge of change: Digital video-analysis and constructivist teaching approaches on a one year preservice teacher education program in Ireland. Journal of Technology and Teacher Education, 17(3), 349–367. Richey, R. C., Silber, K. H., & Ely, D. P. (2008). Reflections on the 2008 AECT definitions of the field. TechTrends, 52(1), 24–25. Ross, S.M., & Lowther, D.L. (2009). Effectively using technology in education. Better Evidence-Based Education, 2(1), 20–21. Ross, S.M., Morrison, G., & Lowther, D.L. (2010). Educational technology research past and present: Balancing rigor and relevance to impact school learning. Contemporary Educational Technology, 1(1), 17–35. Russell, M., Bebell, D., O’Dwyer, L., & O’Connor, K. (2003). Examining teacher technology use: Implications for preservice and inservice teacher preparation. Journal of Teacher Education, 54(4), 297–310. Russell, M., & Douglas, J. (2009). Comparing self-paced and cohort-based online courses for teachers. Journal of Research on Technology in Education, 41(4), 443–466. Samuels, L.B., & Bast, C.M. (2006). Strategies to help legal studies students avoid plagiarism. Journal of Legal Studies Education, 23(2), 151–167. Sangra, A., & Gonzalez-Sanmamed, M. (2010). The role of information and communication technologies in improving teaching and learning processes in primary and secondary schools. ALT-J: Research in Learning Technology, 18(3): 207–220. Saunders, G., Wenzel, L., & Stivason, C.T. (2008). Internet courses: Who is doing the work? Journal of College Teaching & Learning, 5(6), 25–35. Shapley, K.S., Sheehan, D., Maloney, C., & Caranikas-Walker, F. (2010). Evaluating the implementation fidelity of technology immersion and its relationship with student achievement. Journal of Technology, Learning, and Assessment, 9(4), 6–10. Schmidt, D.A., Baran, E., Thompson, A.D., Mishra, P. Koehler, M.J., & Shin, T.S. (2009). Technological pedagogical content knowledge (TPACK): The development and validation of an assessment instrument for preservice teachers. Journal of Research on Technology in Education, 42(2), 123–149. Stuber-McEwen, D., Wiseley, P., & Hoggatt, S. (2009). Point, click, and cheat: Frequency and type of academic dishonesty in the virtual classroom. Online Journal of Distance Learning Administration, 12(3), 1–10. Stucker, H. (2005). Digital “natives” are growing restless. School Library Journal, 51(6), 9–10. Traxler, J. (2010). Students and mobile devices. ALT-J: Research in Learning Technology, 18(2), 149–160. Tomlinson, C. (2003). Fulfilling the promise of the differentiated classroom: Strategies and tools for responsive teaching.Alexandria, VA: Association for Supervision and Curriculum Development. Tondeur, J., van Keer, H., van Braak, J., & Valcke, M. (2008). ICT integration in the classroom: Challenging the potential of a school policy. Computers & Education, 51(1): 212–223. Turner, C.C. (2005). A new honesty for a new game: Distinguishing cheating from learning in a web-based testing environment. Journal of Political Science Education, 1(2), 163–174. * U.S. Department of Education (2010). Transforming American education: Learning powered by technology. National Education Technology Plan 2010. Office of Educational Technology: Washington, D.C.
Van Dam, A., Becker, S., & Simpson, R.M., (2007). Next-generation educational software: Why we need it & a research agenda for getting it, SIGGRAPH ’07: ACM SIGGRAPH 2007 Courses, ACM, New York, NY, USA, p. 32. Vavasseur, C.B., & Macgregor, S.K. (2008). Extending content-focused professional development through online communities of practice. Journal of Research on Technology in Education, 40(4), 517–536. Wang, Y. (2008). University student online plagiarism. International Journal on E-Learning, 7(4), 743–757. Warschauer, M., & Ames, M. (2010). Can one laptop per child save the world’s poor? Journal of International Affairs, 64(1), 33–51. West, R.E., Rich, P.J., Shepherd, C.E., Recesso, A., & Hannafin, M.J. (2009). Supporting induction teachers’ development using performance-based video evidence. Journal of Technology and Teacher Education, 17(3), 369–391. Zhao, Y. (2007). Social studies teachers’ perspectives of technology integration. Journal of Technology and Teacher Education, 15(3), 311–333. 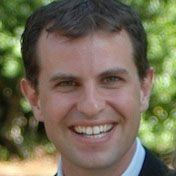 Dr. Randall S. Davies is an assistant professor of instructional psychology & technology at Brigham Young University (BYU), where he focuses in educational inquiry, measurement, and evaluation. He previously worked at Indiana University South Bend as an Assistant Professor of Educational Research and at IU Bloomington in the Center for Evaluation and Education Policy. 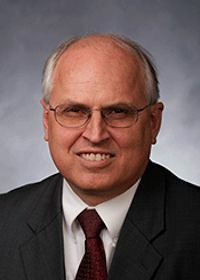 He received his Ph.D. in instructional psychology & technology from BYU as well as a B.Ed. in secondary education and a B.S. in mathematics & computing science from the University of Alberta.